A year after Rutgers implemented the Cornerstone Cloud Financials project, URA conducted an online survey to assess how the system has affected our members. Over half of respondents (55%) experience stress & frustration using Cornerstone and half (49%) report an increased workload. Almost half of respondents give Cornerstone poor ratings based on their ability to monitor account balances (47%), manage grant‐funded projects (45%), and transfer funds (40%). Of those who mention workload or system problems, more than half (54%) have problems with reports producing conflicting, inaccurate, unreliable data. We urge you read the report here (http://www.ura-aft.org/for-members/cornerstone/ura-cornerstone-report/). The recommendations will be discussed at a future membership meeting. URA and AFT’s national research department have tried to find out the costs of the overall Cornerstone project. We have already provided a compilation (http://www.ura-aft.org/for-members/cornerstone/cornerstone-oracle-invoices-and-documents) of over $12M paid to Deloitte Consulting for overseeing the implementation of Oracle’s systems. But it’s been a bigger challenge calculating the amounts paid to Oracle Corporation itself. 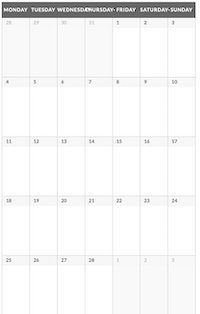 This involves a mix of hardware, software, licensing, training and oh, so many consultants. At times, management responded to our OPRA requests by denying that any such thing as Cornerstone exists. That’s a tough position to take from a university that’s said so much (https://cornerstone.rutgers.edu/) about Cornerstone for so long. So URA has adopted an open‐source approach to research on the true cost of Cornerstone. You are free to study the information Rutgers provided under the Open Public Records Act. 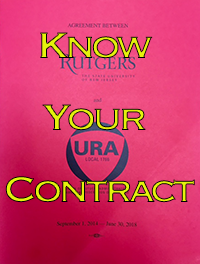 These documents are provided as Rutgers provided them to URA. Any redactions were made by Rutgers. The order of the documents was also decided by Rutgers. You can also use the spreadsheet compiled by the AFT research department to see what Cornerstone cost us for the period 2014–2017.